of partners say that Allies met or exceeded their objectives as an apprentice. of partner organization are better positioned to carry out their mission as a result of Ally capacity building! Public Allies Pittsburgh is a 10-month AmeriCorps program, operated in a partnership between Coro Pittsburgh & Public Allies National. Our mission is to create a just and equitable society and the diverse leadership to sustain it. Allies serve in a nonprofit or government setting 4 days a week, where they develop new skills, learn the day-to-day operations of their organization, expand their professional networks, and increase their understanding of the issues that their communities are facing. Weekly training sessions, delivered by active community leaders and subject matter experts. Groups of 7-10 Allies focus on a community, explore its assets and collaborate with a local organization to develop and implement a long-term service project to be carried out over 10 months. Each Ally works with a staff member to identify post-program education and/or employment goals. Allies and coaches meet regularly to determine appropriate strategies and track progress. Applicants must be at least 17 years old, have a high school diploma or G.E.D. by 9/2019, be and eligible to work in the U.S.
Coro Pittsburgh (operating partner of Public Allies Pittsburgh) has a partnership with Carnegie Mellon Heinz College and the University of Pittsburgh Graduate School of Public Affairs and School of Social Work. Each program offers Public Allies alumni scholarships towards a Masters Degree. Alumni of the Public Allies Pittsburgh who enroll in any of the master’s programs at Carnegie Mellon University’s Heinz College of Information Systems and Public Policy are eligible for a scholarship of up to 30% of tuition per semester. Prospective students can connect with CMU today or learn more about the application process. You may also email David Eber, Director of Admissions and Financial Aid at deber@cmu.edu. Hannah has lived in six countries – England, Kazakhstan, Kyrgyzstan, Albania, Bulgaria, and the USA. 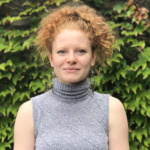 Moving so often has shaped how she sees the world – Hannah is adaptable to unexpected situations, and makes new friends and personal connections easily, and places great value on those connections. Positive experiences with teachers and mentors in the past have influenced her decision to pursue a career in education, this has manifested in her experience coaching soccer, tutoring, and being a Resident Assistant while attending the University of Pittsburgh. 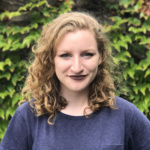 During her apprenticeship this year at Pittsburgh Parks Conservancy, Hannah will build on the experience she’s already had there, both as an intern, and later as a Summer Camp Counselor. She has also volunteered with the Pitt Pantry, supporting efforts to collect food from 412 Food Rescue and the Greater Pittsburgh Community Food Bank, as well as raising awareness of food insecurity and helping other students in need. 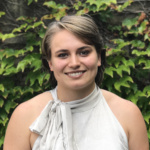 Outside of her interest in education, Hannah is also passionate about environmental justice, specifically where environmental changes intersect with social justice and education. 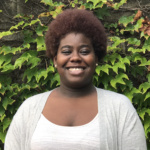 Azia describes herself as, “a compassionate nurse that loves helping people, and who is passionate about every person’s overall well-being.” She is excited about working with young people to increase their confidence so that they can succeed both in school and in the workforce. Her first-hand experience receiving support from Family Support Centers has built within her a deep understanding of how important nonprofits and community agencies are to overall community health, and to change lives. Azia’s eight years of experience in the healthcare field have taught her how to prioritize, how to manage time wisely, and how to document and report on activities and outcomes. 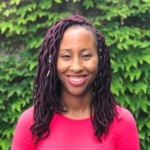 Her past volunteer experiences include Heartland Healthcare, House of Healing Ministries, and Urban Impact, and Azia is currently involved in her community through CEA association, YMCA, YWCA, Amplified Church, and a local Family Support Center. 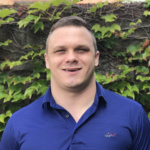 Michael has a distinct ability to relate to the population that he serves – he has been in their shoes, without access to all of the resources that he needed to be successful. As a result of his past experiences, he is empathetic, resilient, able to relate to diverse groups of people, and passionate about making a difference. His formative trip through the education pipeline led Michael to believe that success was achieved by meeting criteria and passing tests. The unspoken assumption that he knew how to navigate life after school was a false one. Experiencing the hardships of minimum wage work while holding a college degree was a bitter taste that lingered – the toll manual labor took on Michael’s mind and body is one he won’t forget. The path to acknowledging his own self-worth that culminated in him moving to Pittsburgh and a healthier environment. He has taken that bitter pill and used it to motivate himself not to escape and run from hardship, but to stand tall through it and guide others safely through the rocky shores of life. A Pittsburgh native who studied Sociology, Peace and Conflict Studies, and Communication at Juniata College, Maeve also spent 9th and 10th grade living with her family in South Africa. Her youth spent in South African public schools and Cape Town’s townships was a huge part of her adolescent transition. Post-Apartheid South Africa sparked her exploration of art as record-keeping and storytelling, her research on truth and reconciliation, and a critique of dominant epistemologies and western empire. A trip to Ireland upon returning from South Africa was an additional opportunity to explore complex conflict among her ancestors in Ireland and Northern Ireland. A later visit to Cuba in 2014 to spend time with family there showed Maeve a different form of society through its history, artwork, development, and anti-capitalism. These journeys abroad drew me to month-long college courses in The Gambia and Vietnam. Later, living and learning in central Pennsylvania created a greater understanding of how socioeconomic status and education in the U.S. shapes cultural and political perspectives. The outcome of the 2016 election has had a powerful impact on the work Maeve seeks to do. Her interests stem from a deep concern for the health and wellbeing of the communities she calls home. Jordan is a proud Black woman who hails from the city of Philadelphia, where she found a love and passion for working within her community, serving alongside other people who wanted nothing more than to improve the lives of those in the space around them. The majority of her experience has revolved around youth services in various educational institutions. 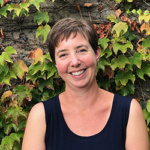 She worked in the office of the Vice Provost of University Life at the University of Pennsylvania, where she helped students find solutions for the mental health issues they were experiencing. Jordan also spent several summers working with the Urban Affairs Coalition and the Work Ready programs, helping high school students find employment for the summer. 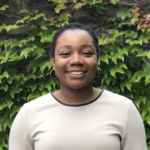 Last year, Jordan was a Heinz Fellow through the Center for Urban Education and was given the opportunity to work in A. Leo Weil elementary where she provided tutoring, mentoring and classroom support. Hailing from the Pacific Northwest, Rachel is an educator who is passionate about building a strong and inclusive community of earthlings. She studied fine art in Portland, OR, then moved to Pittsburgh and fell in love with its kind people and lush hills. Rachel feel best when I am making connections between kids, their communities, and their ecosystems. She believes the natural world is a powerful tool for healing and it is her mission is to make that tool meaningfully accessible to all people, particularly those who have been historically excluded from it. 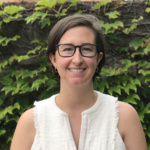 Rachel’s teaching experience ranges from juvenile detention centers to forests and streams of Frick Park, as well as K-8 in informal science education programs, summer camp settings, and all ages in public environmental education programs. Rachel has also developed educational programming to meet Pennsylvania State Academic Standards, as well as creative and play-focused programming for summer camps. 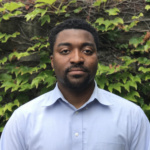 Matthew is an outspoken native of the Hill District who is passionate about the issues of gentrification and restoration projects that will help bring the Hill back to its former glory. He is also very interested in affordable housing which is becoming a more prominent issue in Pittsburgh and wants to be involved in ensuring that people can live in housing that is both safe and affordable. 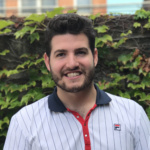 Matthew looks forward to being more engaged in his community and developing the tools that will help him become a better advocate. He has worked for the YMCA and volunteered to work on food drives and at food kitchens. Matthew is also a skilled trade worker, and does a lot of work for people in his neighborhood at a discounted or pro bono rate, and attends Hill CDC meetings to stay in the loop of what is developing. Originally from New Jersey, Megan relocated to Pittsburgh to attend the University of Pittsburgh School of Social Work. 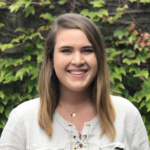 Inspired by her mother’s work as a paraprofessional in a special needs classroom, Megan pursued employment with the Children’s Institute of Pittsburgh in the Day School and began work as a Teacher’s Aide upon graduation in 2017. There, she discovered her deep passion for working with kids with autism. 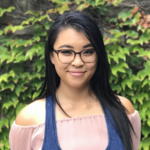 Megan believes in a world where all youth, particularly those with exceptionalities, deserve access to an appropriate educational environment with supportive care. Her additional professional experience includes an internship in the Allegheny County Area Agency on Aging, and time with Planned Parenthood supporting their marketing efforts for their youth-targeted text line called It’s Okay to Ask Someone. Alex believes that if you enter a community with intentions of calling that place home, it is your responsibility to learn from those who are already there. 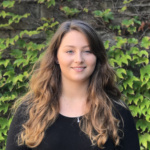 While at Pitt, Alexandra became a member of the Student Civic Engagement Council (SCEC), a student group responsible for maintaining regular service events for the Pitt community, planning community service events for students on campus and around the city. This process involved finding out what students were passionate about and matching those passions to nonprofit organizations throughout the city, then contacting those organizations to coordinate times, transportation and food if applicable. Some other volunteer activities that Alexandra participated in include afterschool programs, bingo days at senior living communities, the food bank, food pantries, fundraising events and more. La’Nia lives in the Garfield area of Pittsburgh, recently graduated from Slippery Rock with a Bachelor’s Degree in Social Work and a double minor in Spanish and Gender Studies, and is also a member of Zeta Phi Beta Sorority, Inc. She loves to volunteer, network, and is committed to making a difference within the various Pittsburgh communities and neighborhoods. La’Nia is particularly interested in working with and mentoring young people in underserved areas of our city. Volunteer work has always been important to her – she was involved on campus at Slippery Rock University as a Community Assistant, a member of the track team, and held an executive position in numerous student organizations. She has also been involved with the Urban League of Greater Pittsburgh (especially at the Thanksgiving Distribution event). La’Nia has also volunteered with the Black Female Leadership Development Institute of Urban League of Greater Pittsburgh, facilitating and leading workshop groups with girls ages of 13 to 17. Wendy has felt a strong personal connection to public service, instilled in her from a young age by her grandparents when she would tag along with them during their frequent volunteering activities. Over time, her own motivations developed around people having access to the things that they need – issues of gender equality/equal pay, paid family leave, equal protection under the law, and fair housing/access to public transit. Her ultimate goal is to work to support social innovation efforts. Prior to becoming a Public Ally, Wendy worked for a large company with a robust corporate social responsibility program and built mentoring relationships with people who work in that area to learn from subject matter experts. She found opportunities at her company to volunteer, outside of her assigned role, in support of social innovation events, and as the coauthor of a business report making the case for paid family leave for the Women and Girls Foundation. For Cara, helping others has never been an option – it was always her calling. She comes from a family of hard workers, people who have dedicated their lives to improving facets of this country through various career paths. From journalism to advocacy, to working the food service industry, Cara’s family has passed on formative life lessons learned from their work, teaching her me about the importance of generosity, nonbias, and inclusion for all people, and they each have a true passion for their given profession. She is following the path that was illuminated for her and pursuing a career that allows her to teach the next generation about what should be prioritized. It is her personal mission to work towards a more inclusive and just society. 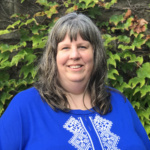 Cara recently earned a Bachelor of Arts in Recreation Therapy from the University of North Carolina at Wilmington, her most recent and prevalent outreach experiences have been working for individuals with disabilities – primarily intellectual and developmental. 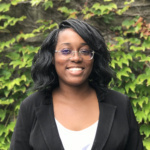 Rashawna recently completed her Bachelor’s Degree in Social Work at Carlow University and is excited to begin her career in the nonprofit sector. Her degree gave me knowledge of both on-the-ground support methods as well as how to work and create change on a policy level. 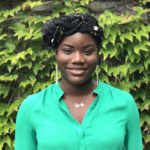 Rashawna’s career goal is to work with youth in a school or nonprofit setting, driven by the experience that she had in high school with her guidance counselor, who helped support her through a difficult time without judgment. Rashawna wants to give back and offer that same support to other young people. She likes very much to have a plan and know what’s coming next in life but aims to use this opportunity to learn to be more well-rounded and spontaneous and to handle uncertainty with grace. As a Bioneer (mentor and peer support specialist) with the Student Conservation Association (SCA), Rashawna worked across the city, creating green spaces and talking to young people about the importance of conserving our planet. Because of this experience, she learned that she wanted a career working with young people as a mentor and through supporting them as a Social Worker. Haleigh is from Altoona, PA, and came to the Pittsburgh region in 2014 when she started college at the University of Pittsburgh. In the fall of her sophomore year, Haleigh took Introduction to Urban Studies and fell in love with the course material. She graduated in April 2018 with her Bachelor of Arts in Urban Studies, concentration in urban planning, and is the first woman in her family to graduate from college. 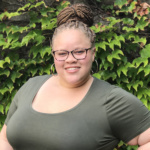 Haleigh brings a variety of skills to the table, as well as a passion for public service, community engagement, social activism, and a deep desire to make Pittsburgh an equitable city for all residents. Her previous experience is in state and city government and was a legislative intern for State Representative Dan Frankel. In this position, Haleigh was responsible for policy research, answering constituent phone calls, and writing responses to constituent letters. 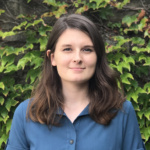 She further developed her policy research and constituent services background as an intern for the City of Pittsburgh with the Department of Permits, Licenses, and Inspections. David grew up in the South Hills of Pittsburgh. After being a participant in The Pittsburgh Black Media Federation Urban Journalism Workshop, he realized the deep extent of white privilege in my own life. Since this life-defining moment, he has strived to consistently listen to folks of color, unlearn behaviors that perpetuate oppression, and educate himself and others about histories and cultures that my his schooling erased. As an undergraduate at Miami University, he strove to be in solidarity with people of color as an active member in our school’s Black community, and as an education major in Miami’s Urban Teaching Cohort. As an intern at Kuumba Lynx in Chicago, he saw firsthand how much hip-hop pedagogy and community-based non-profits can impact youth of color. While Dave believes in an intersectional liberation, dismantling racism, especially in the education system, is the work that he is most passionate about after seeing how racism at both my high school and university affected his classmates. Shawn Sweeney is a nonprofit professional with twenty years’ experience developing, managing, supporting and evaluating leadership, service, civic engagement, and workforce development programs. She started her career as a Volunteer in Service to America (VISTA) working with K-12 teachers to integrate service learning into the curriculum, and as a Team Leader with AmeriCorps*National Civilian Community Corps doing team service projects. Shawn then became the Executive Director of Illinois Campus Compact where she worked to engage colleges and universities in and with their community through service learning and civic engagement. 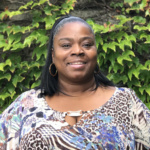 Next, Shawn became Program Manager at LearningWork Connection where she oversaw training and technical assistance projects for youth workforce development programs in Ohio. As Executive Director at LAUNCH, a youth leadership development organization, she oversaw the transition to a youth-led, adult guided model. 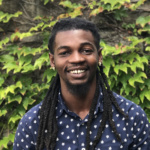 Most recently Shawn worked as a Case Manager with Auberle YouthBuild helping young adults obtain the education and skills they need to become self-sufficient. A first-generation Vietnamese American (whose parents were refugees from the Vietnam War), Sue grew up going to predominantly-white Catholic schools, where she typically felt like an outsider and bore witness to prejudices against her and other people. Because of this experience, Sue developed a curiosity about other people from different heritages and socio-economic backgrounds, and also an appreciation for all people, coming to the realization that all of us struggle in various ways, some that are not seen. As she got older, Sue was able to interact with more diverse people, helping her further appreciate the human experience. At Washington and Jefferson College, Sue was on the executive board for her school’s Yoga Club, Green Club, and Asian Culture Association. This experience helped shape her organizational, leadership and communication skills. I was also on the school’s sustainability committee, giving her hands-on opportunities to promote awareness and actions towards an environmentally friendly campus. Immediately after college, Sue was recruited by Advanced Micro Targeting, a political consulting firm based in Las Vegas, to work on a campaign for expanding victim’s rights in Ohio, and later on one focusing on education reform in Nevada. Not pictured: Rodney Dennard, Aniya Hines, Michael Keefe, Mallory Verez. What did you learn during your first year that you intend to build upon this year? I learned how to take better care of myself that so I would have a balance in order to be more effective in my service. One thing you would have done differently last year? I would change the way I balanced my time better, and spent more time with my family. Goals after Public Allies? I see myself as an entrepreneur in the Nonprofit sector post my Apprenticeship. I’ve taken the necessary steps to be in a place to obtain my goal by taking “The Development of A Non Profit Organization” class at Geneva College’s Center for Urban Biblical Ministry. I also completed training and am now a PA Certified Recovery Specialist for Drugs and Alcohol. This adds to my PA Certified Peer Specialist certification for Mental Health, along with all my other education which provides me the knowledge and personal experience to service individuals of all walks of life. My goal is to become Founder/CEO of my own non profit organization servicing those less fortunate, homeless, and or those going through a hard time. In this, empowering these individuals through resources, education, trainings, guidance, and encouragement. This in supporting them to a place of recognition of their self-worth, becoming independent, and rising above their circumstances to a place of success. In this, that our efforts as an organization will be a platform for these individuals to become self sufficient and confident that they can have a better way of life. In this effort, I desire to be the bridge to the gap of success in the lives of others. Through this endeavor, also obtaining a building that can become a home to women in need of all this and a home. What did you learn during your first year that you intend to build upon this year? I’ve learned how to be more patient, how to take space make space, and the benefits of being a continuous learner. One thing you would have done differently last year? I would’ve requested changes in some of the trainings we had. Goals after Public Allies? Stay at my placement, graduate school in the next 3 year. What did you learn during your first year that you intend to build upon this year? I learned how to navigate difficult conversations in my first year and look to be an advocate in that area moving forward, helping others navigate difficult conversations. One thing you would have done differently last year? Seek more clarity surrounding my position earlier in the process. Goals after Public Allies? My goal for this year is to secure a paid salary position within a Non-Profit Organization, preferably Computer Reach. What did you learn during your first year that you intend to build upon this year? During my first year with Public Allies, I was placed with the City of Pittsburgh’s Department of Innovation and Performance. With a role consisting of two fields, hardware and inclusive innovation, there were various topics and skills that I had to develop rapidly over a short period of time. I developed new skills and researched content areas such as marketing, outreach, asset management, streamlining, and program assessment. From this research, I was able to identify and implement several best practices within my role. During this year, I plan on continuing my personal, professional, and cognitive development within both familiar and new fields. One thing you would have done differently last year? I personally wouldn’t change anything about my first year experience. Although there were challenges, I think that every aspect aided in my current ability to assess and handle those situations. Goals after Public Allies? At the conclusion of this program year, I hope to acquire a position within a nonprofit organization in Pittsburgh. I feel blessed to have been introduced to the nonprofit sector and would like to continue my work within it. In terms of my long-term goals, I’m interested in attending graduate school, ideally a Ph.D. program. After acquiring additional schooling, teaching is on my radar as well. Christian Moore is a two-term Public Allies Alumnus. He recently served as the Manager of Strategic Initiatives and a Community Engagement Facilitator/Trainer (Executive Ally) at UrbanKind Institute. A New Jersey native, Christian relocated to Pittsburgh to attend Point Park University, where he received his bachelor’s degree in Business Management & Marketing. 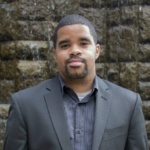 Prior to his work with UrbanKind, Christian served as the Interim Manager of Marketing as a Public Ally for Bible Center Church where he supported social enterprise and STEM initiatives. 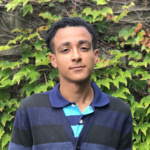 Christian volunteers as a facilitator for Duquesne University’s, Beyond the Mountaintop, High School Program and serves on the board for H.O.P.E. For Tomorrow, an organization that prepares youth in the West End to compete in the global community by addressing academic, socio-economic, and relational risk factors. Britnai brings a passion for empowering leaders to reach their full potential for her role as Program Manager with Public Allies. Britnai graduated from Davidson College and then obtained her Juris Doctor from Wake Forest University School of Law. Ultimately, Britnai decided to leave behind a promising legal career and pursue her passion for mentoring, coaching and developing leaders. She has spent the past 2 years working as an Associate Consultant at the Center for Intentional Leadership in Charlotte, North Carolina. In that role, she was responsible for coordinating and delivering the transformation of key leaders and organizational culture for one of the largest school systems in the U.S. Britnai worked directly with senior consultants and the Superintendent to design, implement, and engage in the development of a large-scale initiative that has made a profound impact on the educators in that district. As a native of Homewood, Britnai is excited about her return to her hometown and the opportunity to work with leaders who will create a positive impact in Pittsburgh and beyond. 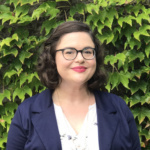 Naomi brings a wealth of experience in program and staff management, training, evaluation, coaching, and fundraising to the Public Allies Site Director Position. She served in multiple roles at the Public Allies National Office from 2001-2009, including Director of Expansion where she helped start the Pittsburgh site in 2006. 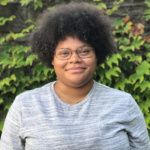 In Pittsburgh, Naomi has also worked with the Student Conservation Association, Pittsburgh Urban Leadership Service Experience (PULSE), and Computer Reach. She holds a Masters degree in Cultural Anthropology from the University of Virginia, and a Bachelor’s degree in International Relations from the American University. Originally from Gettysburg, PA, Naomi has lived both internationally and in several US states. Naomi has now settled with her husband, Steve, and son, Ben, in the South Hills. In her free time, she can be found in her garden or in other outdoor activities or doing Mindbender puzzles with Ben. Click here for more info and the application. Want to learn more about the benefits of hosting an Ally? Come to one of our Partner Info Sessions RSVP Here! Meet the Public Allies Pittsburgh Class of 2017-2018! Free but limited visitor’s parking is available behind the office building. Street parking is available.